Home/Knowledge Base/Web Hosting/How to create Custom Error pages? 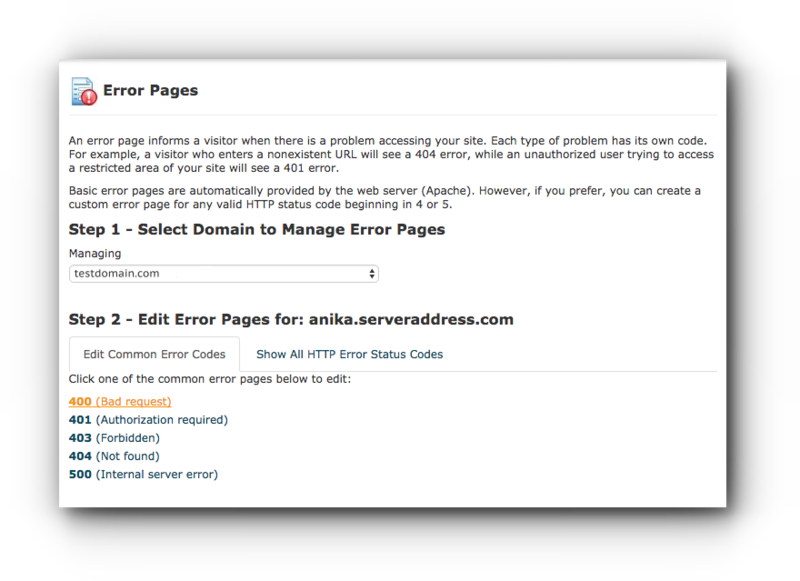 Custom Error pages can be created via cPanel or through .htaccess file. Please follow the instructions below. Step 2. Click on Error Pages under Advanced panel. Step 3. Choose on the domain name you want to apply the error pages for. Step 4. Click on what Error page you want to edit. You may choose on the suggested common error pages or check all the HTTP Error Status Codes to see the full list. Step 5. Insert the html code in the space provided. Step 6. Click on Save button to save the changes. Step 1. Open a notepad or any computer word editor. 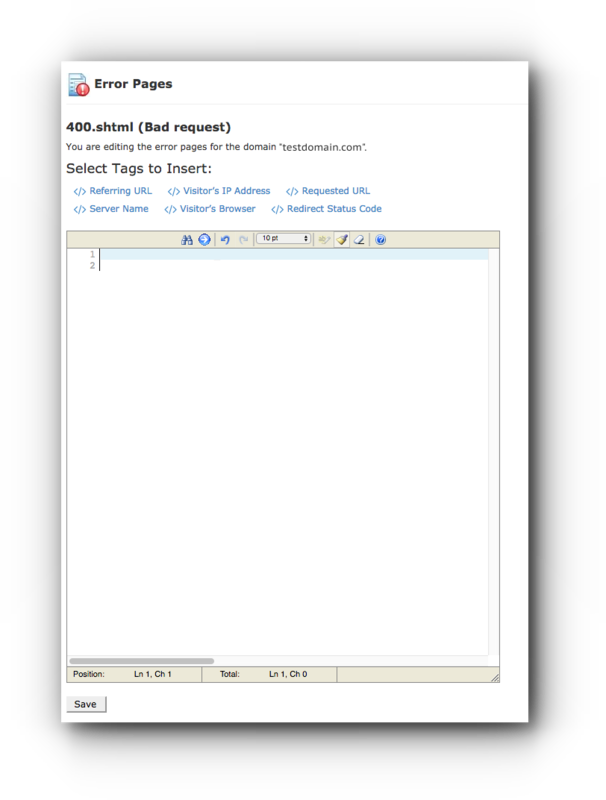 Use the sample codes below, save as .htaccess and upload into the directory where the domain name is currently pointed. Or if you already have a .htaccess file being used by the website, you may use the codes below. You can add more of the custom error pages or just use the most common ones – depends on your needs. Please make sure that all files are uploaded in the correct directory.